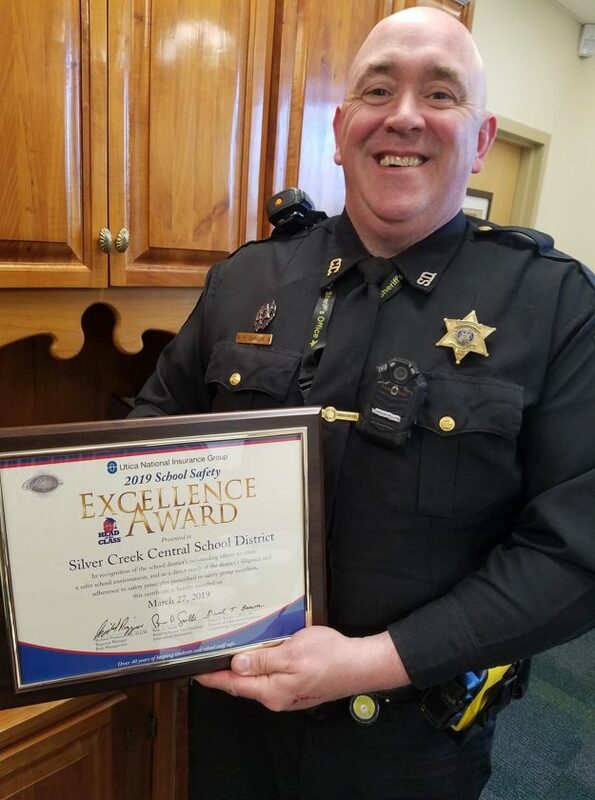 Submitted Photo Silver Creek Central School Resource Officer Wes Johnson attended the annual school safety seminar and accepted the award on behalf of the school district. The honor is presented annually and recognizes school districts’ safety efforts as they work to keep students, staff and visitors safe. Silver Creek Central School district received its award at Utica National’s 39th annual school safety seminar at the Batavia Downs Gaming and Hotel, Batavia, NY, one of seven such seminars the company hosts in the state. 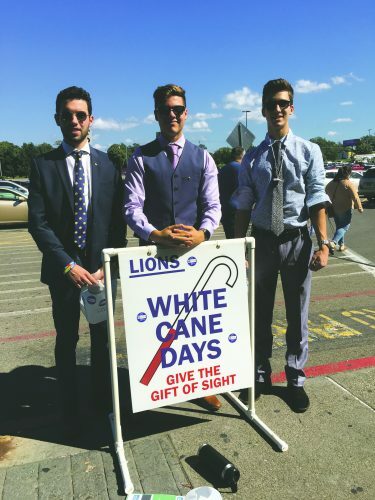 For over 40 years Utica National has kept kids and school staff safe and currently insures more than 300 school districts in upstate New York alone. Silver Creek Central School District officials accepted a certificate to commemorate the district’s safety efforts from Utica National representatives. 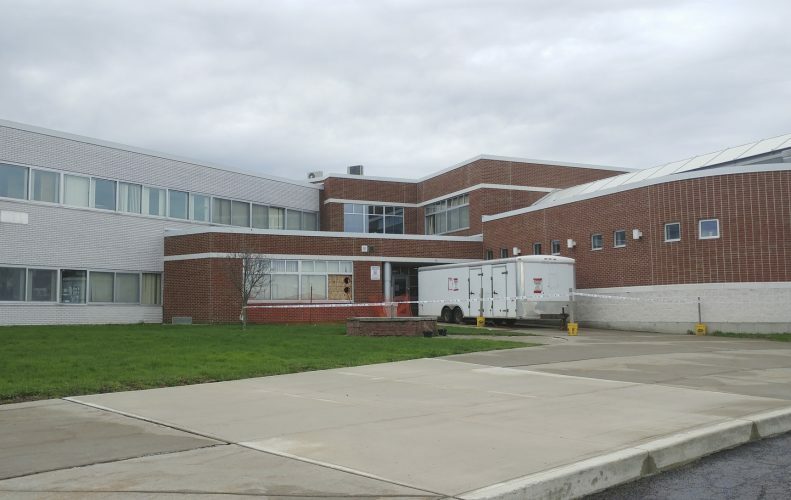 Utica National’s School Safety Excellence Award Program has three levels — titanium, platinum and gold — in which schools can earn meritorious distinction by meeting specific criteria to enhance overall safety. Through the program, schools with their own transportation, schools with contract transportation, and BOCES are evaluated. Categories covered include bullying prevention programs, playground safety and other areas, and are measured using specific, quantifiable surveys.